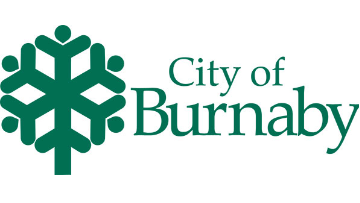 As the third largest City in British Columbia, the City of Burnaby is committed to creating and sustaining the best quality of life for our entire community. As a City, we provide facilities and services that support a safe, connected, inclusive, healthy and dynamic community. With this in mind, comes great responsibility – we seek likeminded individuals who are passionate about the community, work with integrity and respect, and are innovative when it comes to the work and services Burnaby provides to our citizens. Reporting to the Director, Public Safety and Community Services, this position provides consultation and advisory services to management and staff regarding risk management, corporate security, emergency management, insurance and claims and direct service to the public regarding property and bodily injury claims made against the City. Manages staff engaged in claims administration, risk management, emergency management and corporate security duties; provides direction and guidance to staff; directs and conducts investigations and administers discipline. Manages and administers insurance policies; administers third party claims made against the City; investigates claims, identifies and preserves evidence; pursues the recovery of costs and expenses incurred; determines ways to mitigate losses. In consultation with staff, identifies loss exposures arising from City services and operations; analyses identified loss exposures; provides advice and makes recommendations on the selection and implementation actions to prevent, reduce and control the impact of losses. Reviews Requests for Proposal and Tender documents; recommends minimum insurance to be provided by service providers, consultants, contractors and developers; reviews insurance certificates for compliance with contract documents, identifies shortcomings and brings into compliance; reviews commercial leases and licence agreements and recommends suitable risk transfer, indemnity and insurance provisions. In collaboration with other departments, conducts investigations related to losses that appear to involve internal theft or fraud; makes recommendations regarding discipline. Recommends and administers risk financing programs; negotiates annual renewal terms including limits, deductibles and premiums. Directs and oversees security at City facilities, including responsibility for technical and physical security; monitors contracted security guards. Establishes and maintains effective working relationships with internal and external contacts such as legal professionals, insurance brokers, underwriters and claims examiners; provides advice, guidance and support to management and staff in all departments. Oversees and directs tracking of incident and loss reports and related confidential reports. Performs related work as required. Qualifications include a Degree, supplemented by the Certified Risk Manager (CRM) or Certified Insurance Professional (CIP) designation and 8 years’ progressively responsible experience in the risk and insurance management industry including experience in the conduct of investigations; or an equivalent combination of education, training and experience. The role requires expert knowledge of principles and practices of risk management; insurance policies, coverage evaluation and limit assessment; liability determination, claims management and adjusting procedures; insurance market conditions, price trends, business conditions and statutory regulations affecting insurance. The role also requires considerable knowledge of applicable federal and provincial regulations, City bylaws, policies, practices, departmental programs and services; investigative procedures, techniques and rules of evidence in civil and criminal proceedings; and related principles and practices. Driver’s Licence for the Province of British Columbia is required. Please apply online at www.burnaby.ca/careers no later than Thursday February 7, 2019; however, candidates who apply by Monday December 24 will be given first consideration.